There is a saying in Lebanese politics—If you think you understand Lebanon, it is because someone has not explained it to you properly. Nonetheless, it is important to try to contextualize the fascinatingly complex Lebanese political scene following the elections earlier this year, and understand the implications for the country and the wider region. 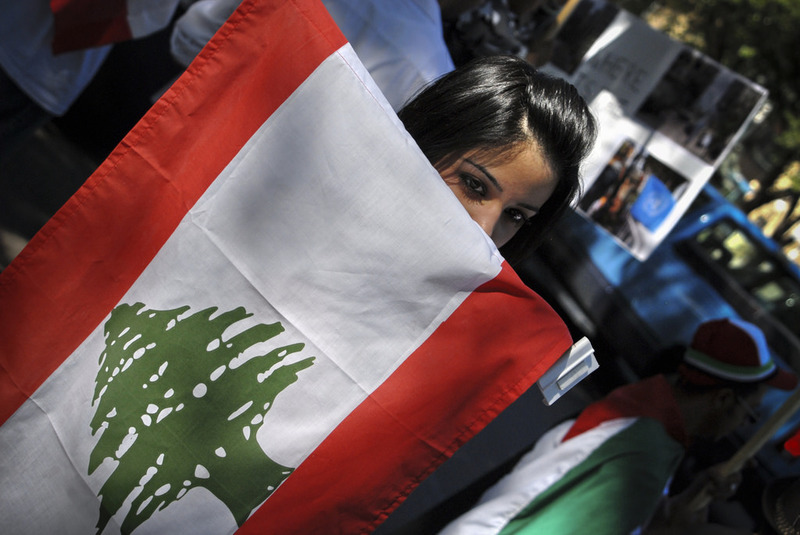 Lebanon’s general elections this past May were the first of their kind since 2009, finally ending a years-long series of gridlock in which the country was without a President for almost two years, and elections were put off twice. The elections themselves are a highly convoluted process, but the principle at the core of them is that of “confessionalism“, a sectarian voting system in which seats in Parliament are apportioned based on ethno-religious denomination and voters elect candidates in a seat corresponding to their own identity. The system mandates a 50:50 split in the seats of parliament between Christians and Muslims and Druze, as well as a separation of powers between the three main denominations—The President must always be a Maronite, the Prime Minister a Sunni, and the Speaker of the House a Shia. Consequently, most of the parties in Lebanon are dominated by one sect or the other (though all have supporters from other sects), and have a clientelist relationship with their voters. The more influence a party has in government in terms of cabinet positions, the more jobs and services they can provide for members of their sect, or an area where their sect is the predominate group. Given this, most of the major parties are not very ideological, at least not in the sense understood by many in the West. There are strong views on Lebanon’s relationship with its neighbors and its international relations, but domestically a lot of issues come down to who can benefit from the patronage network. The exceptions are Hezbollah, to an extent, as well as some of the smaller non-sectarian parties who have no clientelist base, like the Syrian Social Nationalist Party or the Popular Nasserist Organization. This is not to say that the sectarian parties don’t have ideological differences, or issues they hold varying opinions on, just that these do not feature as prominently as clientelist concerns. The results of 2018 elections themselves were more or less unremarkable, with the Syrian-aligned March 8 Alliance of President Michel Aoun and his Hezbollah allies making gains, at the expense of Prime Minister Saad Hariri’s Western-aligned Future Movement. Since there was a unity government before and it is expected to continue that way with the next government, there was no “balance of power” to shift, so to speak, but the parties that made gains now want more influence. With more than 150 days having passed since the elections, a government still has yet to be formed as negotiations for cabinet positions are ongoing. The time it takes to form the government and the eventual result of these negotiations will have important ramifications for Lebanon and the wider Middle East. With the Syrian civil war winding down, Lebanon and Syria are looking to facilitate the return of refugees in Lebanon (of which there are more than one million). Likewise related to Syria is the struggle for dominance between Saudi Arabia and Iran, a struggle Lebanon is at the center of, as was dramatically displayed last year when the Saudis detained Hariri and pressured him into resigning, a resignation later rescinded. And of course, there is the issue of Hezbollah’s arms and tensions with Israel. 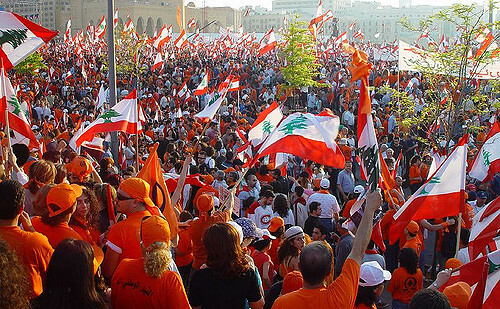 The largest party represented in Parliament is President Aoun’s Free Patriotic Movement, a Maronite Christian party that’s part of the March 8 Alliance. Aoun was a general in the Lebanese Army during the Lebanese civil war and became its highest-ranking commander and interim Prime Minister in the 1980s, fighting primarily against the Syrian Army and the right-wing Maronite militia the Lebanese Forces. Aoun was forced into exile in 1990 and was a vocal critic of the Syrian occupation of Lebanon. When he returned to the country in 2005 following the withdrawal of Syrian forces, he made a surprise pivot, visiting Damascus to make amends and aligning himself with the Syrian government. In 2006, he met with Hezbollah leader Hassan Nasrallah, and the two signed the Memorandum of Understanding, which established an alliance between the two parties that remains to this day in the form of the March 8 Alliance. In 2015, he passed leadership of the party on to his son-in-law, Gebran Bassil, the foreign minister, but many say Aoun is still the one really calling most of the shots. Hezbollah was formed in the later years of the civil war out of the Shia resistance in southern Lebanon to the Israeli invasion. Led by Hassan Nasrallah since 1992, they are backed primarily by Iran and adhere to a similar form of Shia Islamism as the Islamic Republic, though this does not feature prominently in their politics and they, like the rest of the parties of Lebanon, make no attempt to impose their religious views on Lebanon’s multi-confessional society. Instead, their primary focus is resistance against Israel in Lebanon and Palestine, as the only militia allowed to keep its arms after the war. Hezbollah is also notable for its expansive infrastructure and welfare services network for poor Shia communities around the country, which helps mobilize the large and loyal support base it has. It is in these operations that Hezbollah’s main focus lies, not in parliamentary politics, since their own support network independent of the state means they don’t have to engage in much of the same clientelism other parties do. While Hezbollah has previously played a downsized role in parliament, there is pressure from their base to change, and they are playing an active role right now in cabinet negotiation and have indicated their push for a stronger and more valuable number of ministries, compared to the modest two they held prior to the elections. 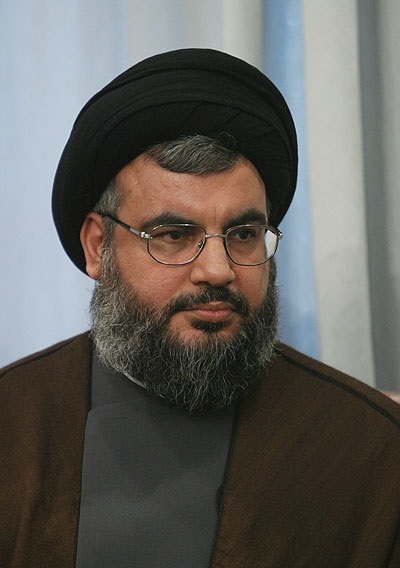 Hezbollah is closely aligned with the Amal movement, the other main Shia party in the country. Amal predated Hezbollah by several years and was founded by the cleric Musa al-Sadr in order to provide a voice for the Shia community of Lebanon, which had been historically marginalized. In a sense Amal acts as something of a “legitimate representative” for Hezbollah—while it is a normal and active player in Lebanese politics, Hezbollah is considered a terrorist organization by many western countries, so Amal officials are able to act as useful and discreet intermediaries when necessary. Amal is led by the 80-year-old Speaker of the House Nabih Berri, who has been head of the party since 1980, and Speaker since 1992. On the other side of politics is the Sunni-dominated Future Movement, party of Prime Minister Hariri. The party is characterized by its opposition to Syrian and Iranian influence in Lebanon, and by extension, opposition to Hezbollah’s power projection. Its primary Middle East ally has been Saudi Arabia, though this relationship has been complicated since Hariri’s detention last year. Future was founded by Hariri’s father, Rafic Hariri, who elected Prime Minister from 1992 to 1998 and again from 2000 to 2004. After Rafic was assassinated in a car bombing in Beirut in 2005, Saad took over the party leadership and has succeeded his father as the figurehead of Lebanon’s Sunni community. The Future Movement is the largest Sunni party in Lebanon, which is a key factor in why there was a consensus for a continuation of the unity government after the elections. 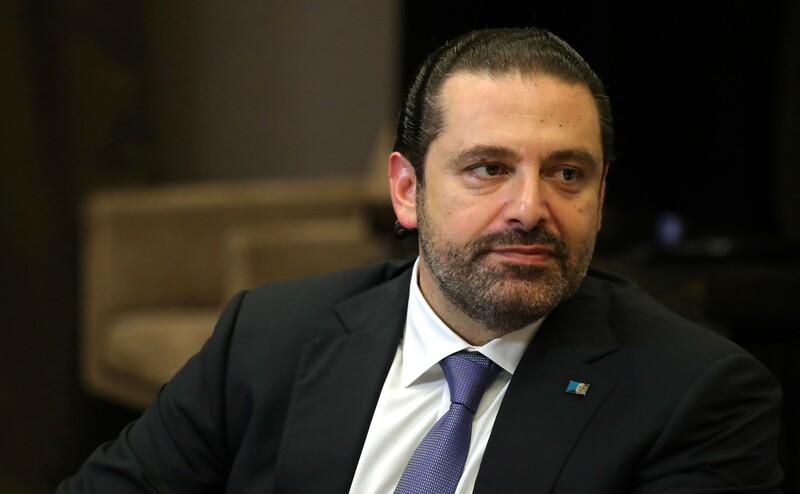 While Future had significant losses in the elections, and doesn’t have nearly as strong of a hold on the Sunni vote as Hezbollah and Amal do on the Shia, it is still by far the largest Sunni force in the country, and thus, for those who believe a government representative of all sects is necessary to maintaining stability, it is essential that Hariri remain as Prime Minister, even if he stands at odds with other forces in the government. On the other side of the coin from the Free Patriotic Movement is the right-wing Maronite Lebanese Forces, the political descendants of the civil war militia of the same name. They are led by Samir Geagea, the former commander of the militia who has been a mainstay in Lebanese politics since his release from jail in 2005, and provide a deeply anti-Syrian counterweight to Aoun’s friendliness with Assad. Bitterest of rivals with the FPM and Hezbollah, they made significant gains in the election, almost doubling their seat share, and are consequently demanding a much better share of ministries in cabinet negotiations, including the Justice Ministry, in competition with the FPM. 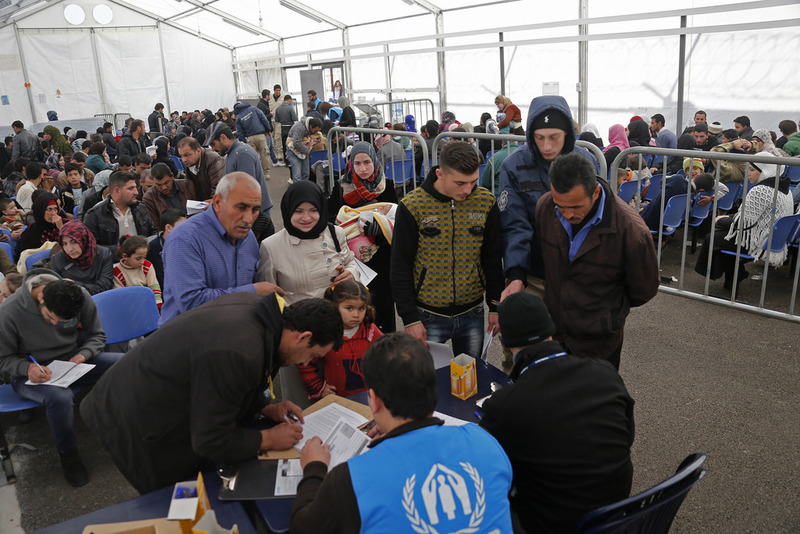 Nonetheless, they do share some positions with the FPM, such as the opposition to the continued presence of Syrian refugees in the country, which many Maronites see as a demographic threat. The Lebanese Forces had previously been in alliance with the Future Movement and a number of smaller parties in the March 14 Alliance, but this agreement broke apart this past election as the two were unable to reconcile their differences and ran mostly on separate lists. Interestingly, LF has started to become close to the Saudis, who likely see them as a reliable anti-Iranian partner following the damaging of their relationship with Future. Lastly, there is the Druze Progressive Socialist Party, led by Walid Jumblatt. The PSP was founded in the 1940s, and came under the leadership of Kamal Jumblatt, Walid’s father. In the civil war the party became the leading player in the Lebanese National Movement, a left-wing, Palestinian-aligned coalition of parties/militias which opposed the right wing Christian Phalange/Lebanese Forces. Kamal was killed during the war and Walid took over the party and has been leading ever since. Despite the name, PSP is no longer socialist, but rather another clientelist vehicle and the primary representative of Druze interests. The party has no fixed alliances, with Jumblatt having moved it back and forth between pro and anti Syrian camps over the years. Since the outbreak of the civil war in Syria, he has been firmly anti-Assad, and has opposed the attitudes of the FPM and Hezbollah. Aside from these there are a number of smaller parties that normally coalesce around the larger alliances. These include the pro-Assad Maronite Marada Movement, the secular and leftist Syrian Social Nationalist Party, the Armenian ally of FPM Tashnak, the right wing Christian Kataeb, and several more. These smaller parties are not excluded from government formation, and their interests and demands must also be considered in cabinet creation. At this point you may have noticed a couple of patterns. Firstly, most of the parties either emerged from the civil war or were created by figures that came to prominence because of the civil war, and secondly, most of these parties are dynastic, passed down the male line from family member to family member. As with the sectarian ties, clan ties are very important to Lebanese politics, especially with parties like PSP and Marada. Given the need for agreement between all the competing factions of Lebanon’s parliament, cabinet formation is dragging along slowly. Aoun and Hariri have both indicated an agreement will be made soon, but it would not be the first time such promises have been made without results. The wait is not without precedent—Hariri’s first government took 135 days to form, and Najib Mikati’s took 139. The worry is that it may take too long, and the uncertainty will scare investors. The Lebanese economy is in a precarious spot and cannot afford too much trouble, thus, if Lebanon is to remain stable, it would be good news if the promises of an imminent government turn out to be true. While the country is not without its problems, from infrastructure, to debt, to inequality, it has remained much more stable than many of its neighbors since the 2005 Syrian withdrawal, even as it is caught between so many different interests. The issue comes with the gridlock caused by these different interests, often between groups of the same sect, which impedes progress and makes the future uncertain. While the last elections indicated a shift in favor of the pro-Syrian camp, the political consensus remains for a unity government to ensure stability between the sects and political groupings. To advance forward steadily, the differences between these groups must be worked out quickly and reasonably, in the interests of all. Liam Meisner is a U2 student currently pursuing a degree in history. He focuses on political movements and conflict in Latin America and the Middle East. Since writing doesn't pay, he also works as a soccer referee.